The 2016 Chevrolet City Express is a Chevy-badged version of the Nissan NV200 compact work van. That means its shares its engine, suspension and overall driving characteristics with its Japanese cousin, no bad thing, since this is an affordable, comfortable and easy-to-use work van. Powerful, reliable, flexible for a variety of uses. We use our Chevrolet express van to pull our travel trailer and to haul dogs to dog shows. I also use it for running errands around town. The van pulls our camper very efficiently and I feel it does so better than our truck did. We have had no mechanical issues with it since we purchased it. I love the space and comfort it provides while transporting our dogs and other passengers. You can remove the seats for different loading capabilities. We have been extremely satisfied with our purchase. 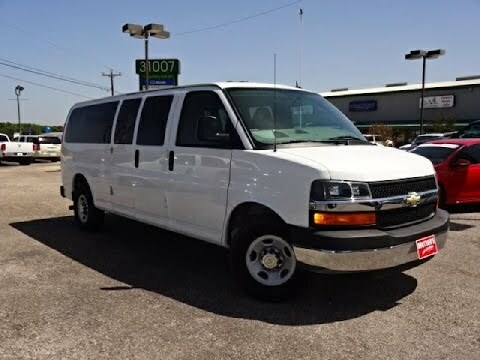 Chevy express cargo van white. Very basic work model. No CD player. Hard to see out of. Also it is only a 2 seat model. Needs more torque and horsepower too. But I like the height and room. It is been very reliable and not bad on gas. It is very basic for a work model so there is no power windows. The seats are stiff and it has lots of road noise. If you ever experience driving a vehicle then you know what to do to be safe. If you have problems with your vehicle make sure you take it to pet boys they are the best. Make sure you pick the right car so that you will feel comfortable. My car has a lot of features but my highly recommended for everyone is to make sure it really operates good on your vehicle.